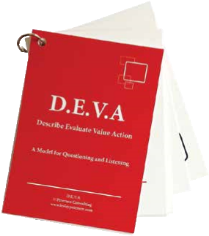 The D.E.V.A.™ model is designed to help the mentor use questions which help the mentee identify their goals and identify the support they would like to get from the mentoring. Use these reference cards before or during a mentoring meeting, to plan how you want to structure the session and decide which questions you want to ask the mentee. 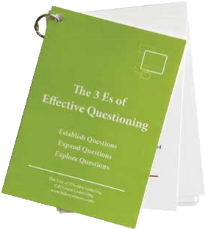 In this card set you will find examples of questions for each part of the D.E.V.A.™ model – Describe questions, Evaluate questions, Value questions and Action questions. There are also examples that incorporate a combination of questions. 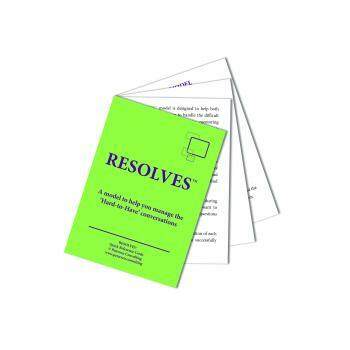 The RESOLVES™ model is designed to help both the mentor and the mentee to handle the difficult conversations that can arise in the mentoring relationship. Not every mentoring conversation is an easy one; sometimes they can be uncomfortable and perplexing, for a whole range of reasons. 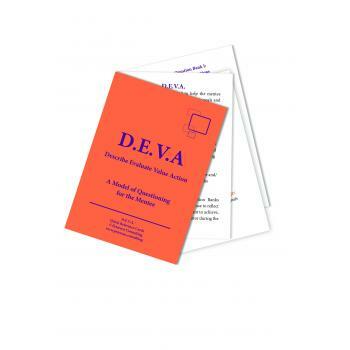 This DEVA card set is designed for the mentee, to help them use questions to identify their goals and identify the support they would like to get from the mentoring.